Teachers are said to have the noblest profession in the world. Whether you agree or disagree, teachers will always be in demand everywhere. Education for all is one of the MDG (Millennium Development Goals) of the United Nations, and this cannot be achieved without people delving into the profession of education and academics. Employment of high school teachers is projected to grow 6% from 2014 to 2024, about as fast as the average for all occupations, according to Bureau of Labor Statistics. To be a teacher, one must have a number of skills to be able to carry out the job effectively. These skills include patience, tolerance, critical thinking, verbal and non-verbal communication skills, passion and flexibility. Whether you are aspiring to be a kindergarten teacher dealing with special children or a university professor grading hundreds of well-done and sub-par papers, these skills are gonna get you by when the days are rough. The selection process for teachers varies from institution to institution, but surely no organization would want a dismal-performing employee; and in the selection process, the resume objective for teacher part of a resume is one that they will never look. Thus it is extremely important to have a strong, solid teaching resume objective. Here are some tips for formulating good objective for teaching resume. Learn their goals, objectives and mandates. What is the specialization of the school you are applying to? You should fit what they need. An elementary school that has a Catholic background would prefer an employee who has the same goal as them. An all-girls school would most likely have a goal of turning girls into proper ladies of the society. 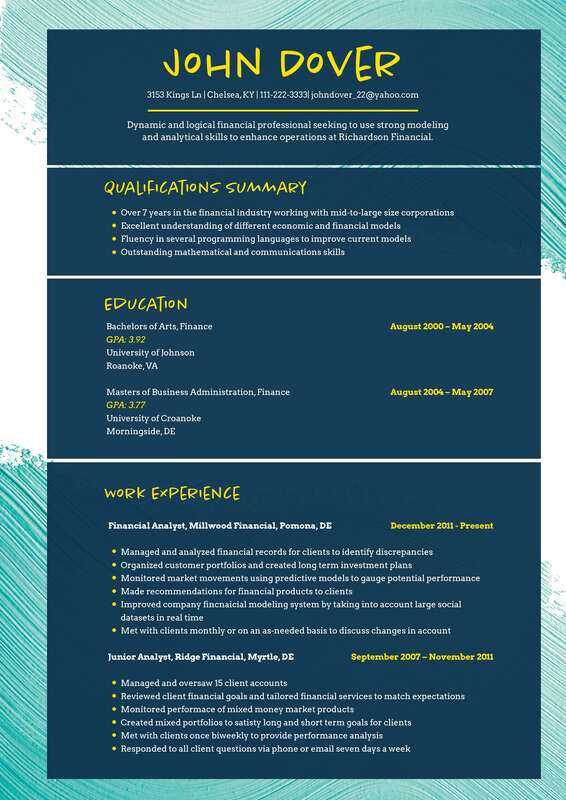 Thus your resume should reflect that you can help them in achieving just that. If you are applying at an Ivy-League school, you should definitely ensure your employers that it is part of your goal to maintain the excellence in which they operate. Your resume objectives should be attuned with you present skill set. You can’t aim to contribute an excellent job in helping special children if you lack the experience and the necessary patience and tolerance. You cannot help a school for the blind in building a future where the blind are more literate and have more opportunities for careers if you yourself do not possess the ability to read Braille. What specific position do you wish to occupy? Which position do you think best fits your present skills and will also best serve as an environment for you to improve on these skills? Which position would allow you to help the school’s mission and vision? In a concise manner, your objective should reflect the answer/answers to these questions. You should include a brief rephrasing of a rundown of your skills that you think can help you maintain and develop the practices that the school does to enforce their goals, objectives and mandate. Your objective, which should be 1 or 2 sentences only, should indicate how you can be an asset to the school and how your skills are indispensable. Using these tips you should be able to create a crisp but information-packed objective. Regardless in what academic level or what school you are applying to, having a good resume objective for teacher as well as resume objective for customer service will surely give you a good advantage over other applicants.